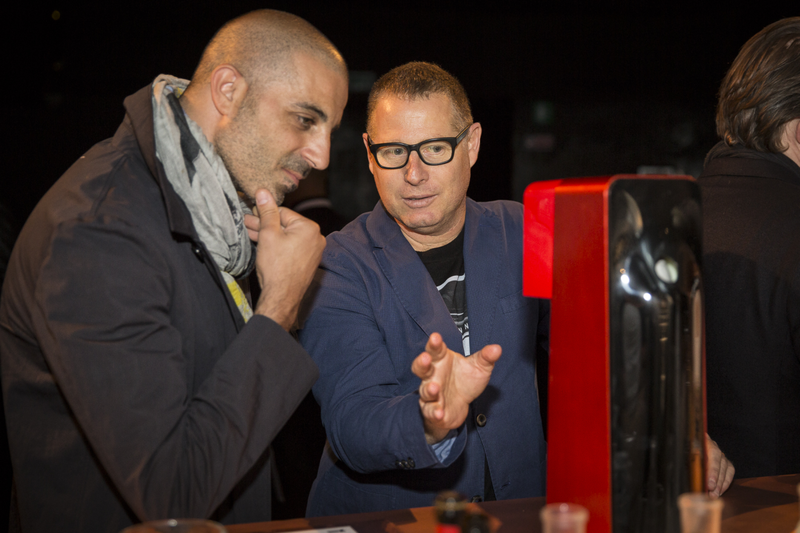 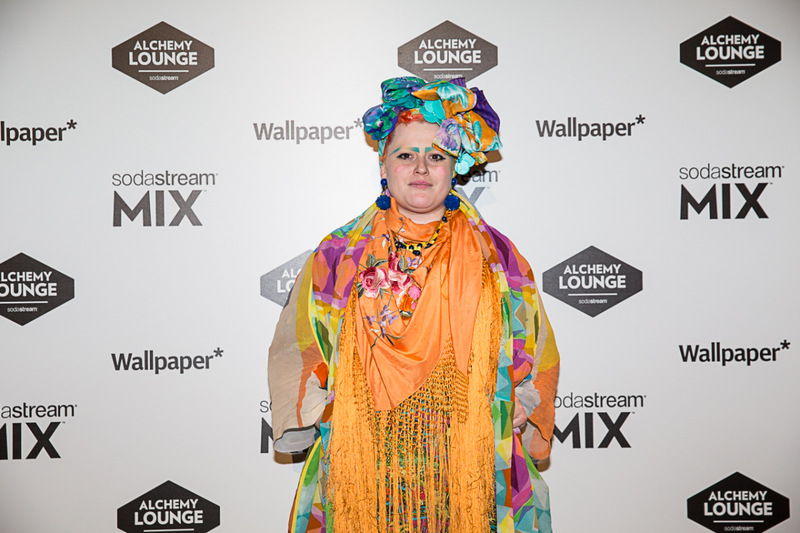 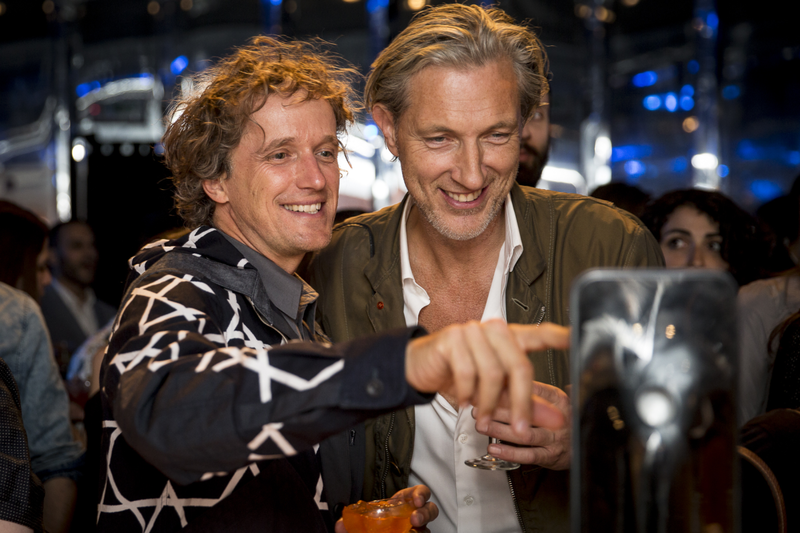 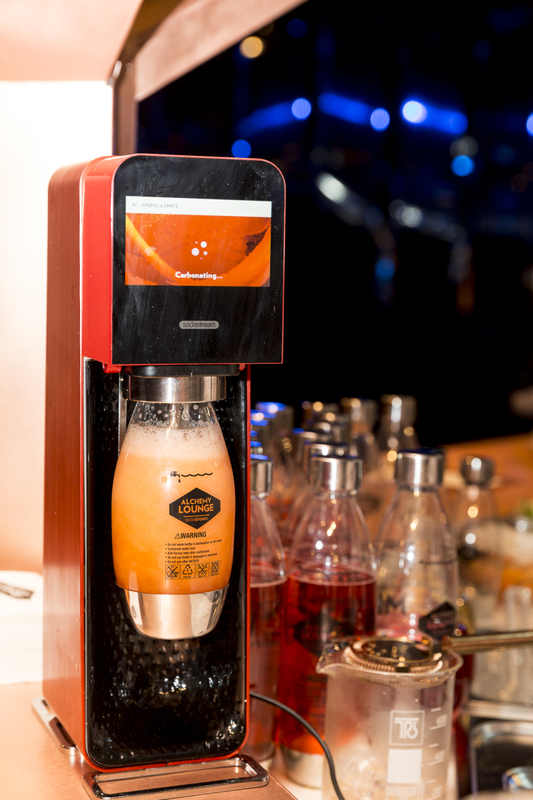 In 2015, Allenby NY returned to Salone del Mobile with Sodastream, this time to launch the company’s new MIX machine. 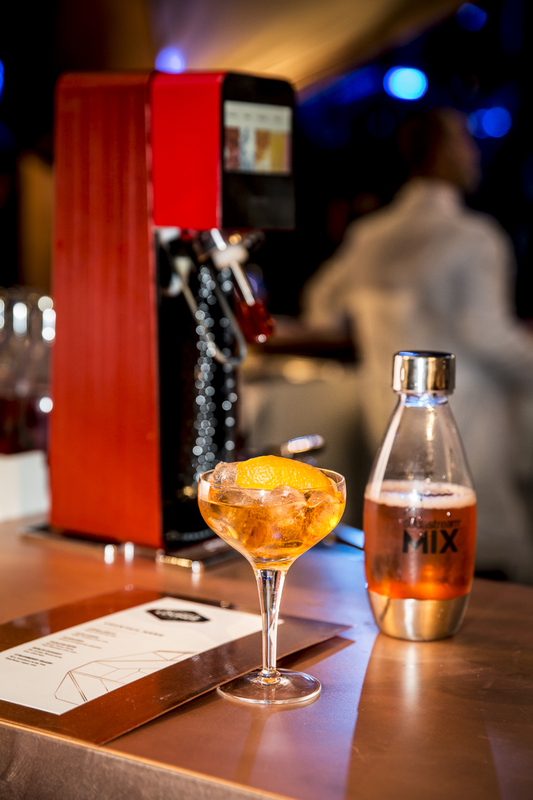 MIX is due to hit the market at the end of the year, with a special carbonation feature, that allows it to carbonate almost any liquid, even if it contains fruit or pulp. 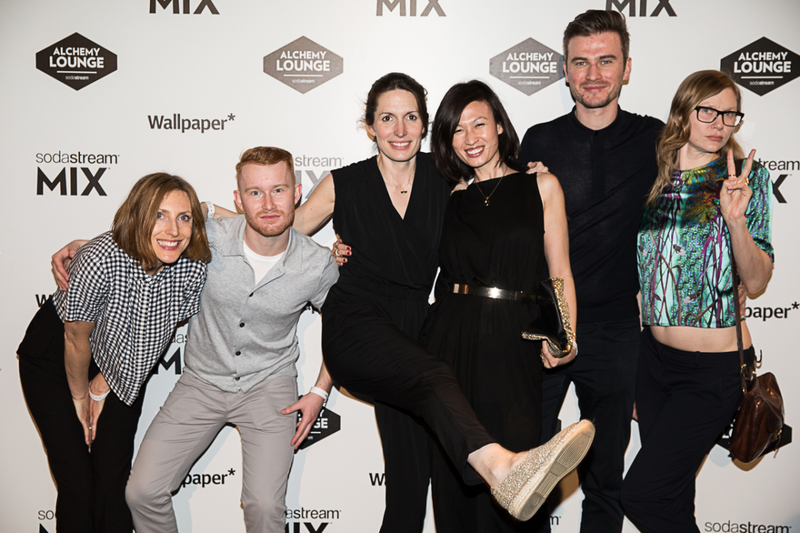 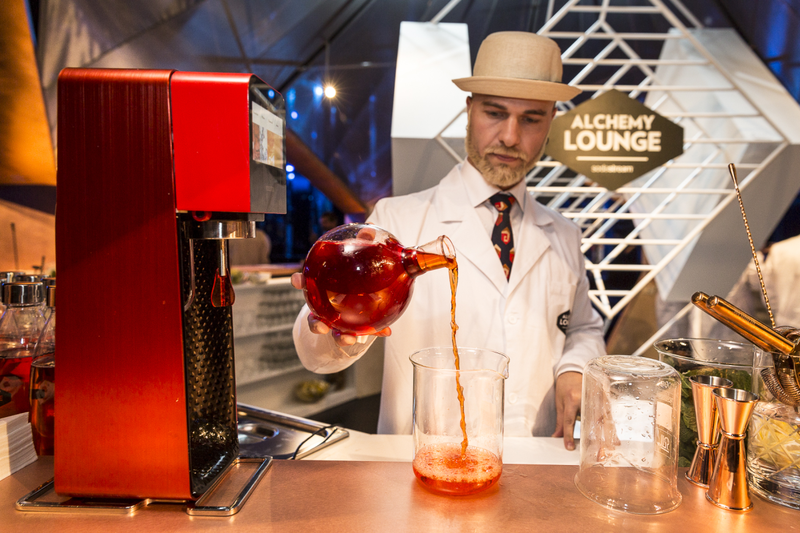 In order to introduce MIX to the world, we created the Alchemy Lounge – a pop-up mixology bar inspired by the concept of transformation – liquid to carbon, metals to gold. 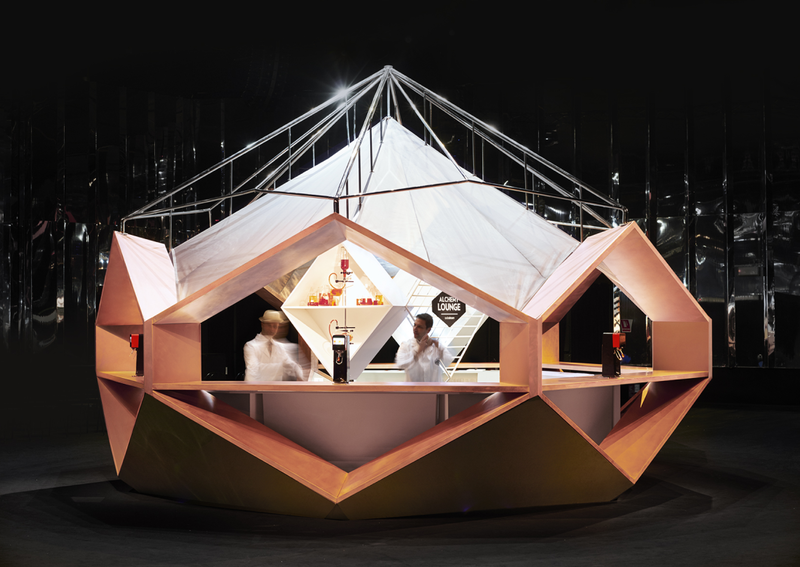 The bar was designed by Yves Behar as a futuristic spacecraft, with symmetric geometry expressed in different materials: copper, plywood, steel rods and Mylar. 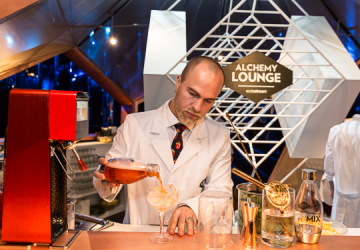 The Alchemy Lounge was placed at the dramatic and mirrored Versace Theatre, and offered its visitors an exciting selection of cocktails, crafted by mixologist Ariel Leizgold. 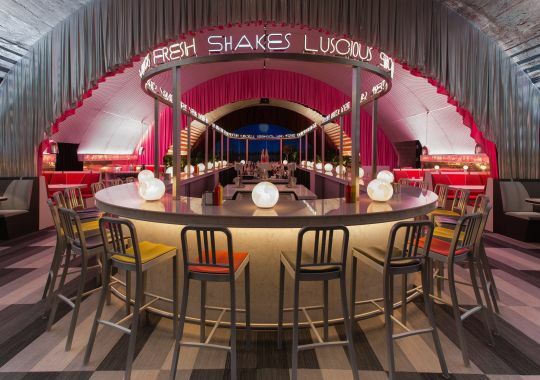 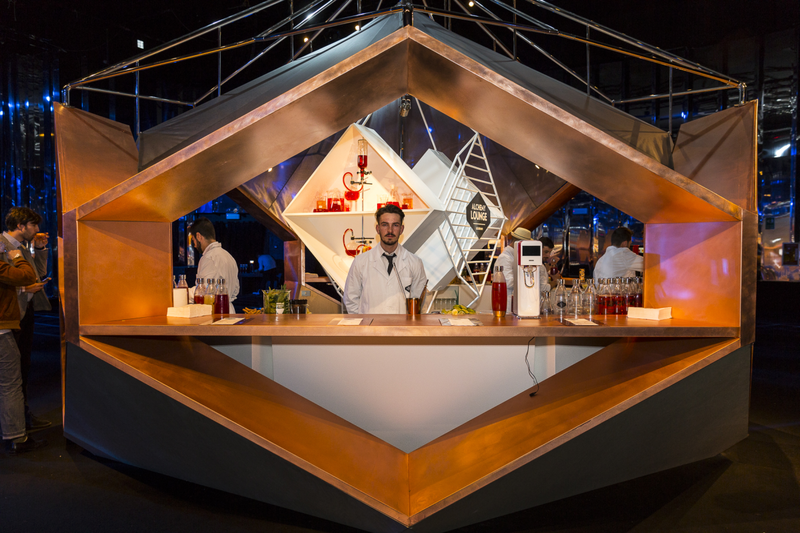 The production included a cooperation with the Campari group and professional sessions with leading bartenders from the Campari Academy, a party for 1,400 guests with Wallpaper magazine, VIP guests-only dinner, design meet-ups orchestrated by Design Boom and more.